FC Barcelona could have handed over the Liga title to Real Madrid unofficially after drawing away at 17th placed Villareal. The lead at the top of the summit is seven points which could be too much for our boys to climb. Already with a very depleted side, we weren't helped by Guardiola's decision making all night. And whatever he gives as excuse, he had to take teh majority of the blame for this performance. Leaders Real Madrid won earlier in the night and that took their lead at top to 8 points. With 14 first team players only available, Guardiola had not much choice to pick the first eleven. Victor Valdes came back a sthe keeper. The defense had Puyol, Pique, Mascherano and Abidal. Xavi, Busquets and Fabregas made up the midfield. And Adriano, Alves and Messi fromed the forward line. We were so stretched that we have to take Sanchez to the stadium eventhough he was injured, because Pedro picked up a late injury problem. Thank God, It's over, that definitely was the reaction of every Barca fan once they heard the final whistle. I don't remember that in recent history we coming out with such a reaction towards the end of any match. That was the way we performed in this match, may be that's how they performed. From being a regular exercise of Barca winning Clasico matches, suddenly they were once again back to the promised intensity. It was once again back to being a contest between the best in the world, our complacent approach made that very much possible. No one in their ideal state of mind never thought Barca will haved to suffer this much to go through, but in the end they did precisely enough to hold on and maybe it's better to say Real Madrid didn't do enough infront of the goal. And precisely that what was the problem - When you play the best team in the world, you cannot afford to miss their chances. Barcelona at the same time made it all simple for Real Madrid with a defensive display, which would have made school boys embarassed. But then you cannot expect this team to be on top of their game all the time. We may feel a bit diasppointed by their display, but we have no right to complain. This team has given us so much that it's ungrateful to criticize the team for a minor blip, and that too a blip which never cost us. And that's what worrying for Mourinho - his team threw evrything at Barca but still couldn't win. FC Barcelona secured a semi-final birth in this season's Copa Del Rey after knocking out holders Real Madrid with a sensational 2-2 draw. Barcelona who went into the break with a 2-0 lead had to hold off a sensational fightback from Mourinho's boys to secure the semi-final birth. To an extent we had to say that we were lucky after putting up the worst defensive display of the season, and courtesy of the fact that Madrid missed a number of chances. Mourinho's boys were all in crisis coming into this match. But as I said in the preview they came out like a roaring, but they were a bit hasty in front of goal and that resulted in all those missing chances. Guardiola went with an unchanged side which featured in the 2-1 away victory at Santiago Bernebeu. Pinto, Alves, Pique, Puyol, Abidal, Xavi, Busquets, Iniesta, Cesc, Messi and Sanchez all started as expected. As I wrote in in the preview, Pepe started for Mourinho at centre back partnering Ramos, Arbeloa and Coentrao in defense. The midfield had Diarra, Alonso and Kaka. Ozil, Higuain and Ronaldo formed the attacking trio. FC Barcelona would be looking to finish off the good job done at the Santiago Bernebeu last Wednesday when they meet Real Madrid at the Fotress Camp Nou. In the league Camp Nou has been an un-penetrable fotress till Betis broke it a week before. This season Barca has scored 67 goals at Camp Nou and conceded just 6(2 in Super Copa, 2 in La Liga and 2 in Champions League). So naturally that's not a great place to visit for Real Madrid, especially when they are trying to overturn a delicate 2-1 deficit. There is a certain sense in media and among fans that this tie is long over. The way we easily over turned the one goal deficit at bernebeu definitely give a psychological advantage to us over the bitter rivals and also we have been simply excellent at home this season. Despite of all these, I beg to differ and that's why I called it a very delicate situation. There is no doubt that Real Madrid had to come out blazing but it no way beyond them to turn the tie. An early goal would complicate matters very much for us and could rejuvinate the real Madrid side. The problem for us is that in the last two Clasico we conceded early goals. Guardiola would be hoping that his team produce a performance similar to the 1-1 draw in the 2nd leg of UEFA Champions League Semi-Final last season. That night we kept Real Madrid at bay for majority of the night and saw them off easily. That will be once again the key tomorrow - to keep Real Madrid from scoring in the first half an hour, after that I firmly believe they will wilt down to pieces. 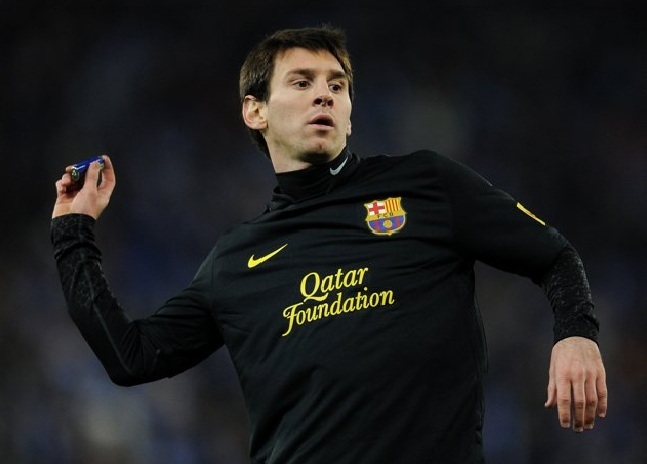 Lionel Messi scored his first away hat-trick of the season to give Barca a comfortable 4-1 victory over Malaga. The match wasn't as comfortable as the score-line suggest. In the first half Malaga had some serious chances and ended as 1-0. Rondon scored the consolation goal for Malaga. All the goal in tonight's match were scored by South American players. But Barca came out roaring after the half and finished off the game. Guardiola rested some serious stalwarts ahead of the Clasico clash on Wednesday. Puyol started from the bench with Abidal, Pique, Mascherano and Alves forming the defense. The midfield saw Thiago, Iniesta and Busquets. The frontr trio also had a different look with Messi and Sanchez partnering Adriano. Victor Valdes captained the side with both Puyol and Xavi absent from the starting eleven. It's always tough to take your focus away from Clasico clashes. Hence Barca's visit to Malaga could be a herculean task in some aspect. First you have to get your feet back on the ground following a sweet victory at Bernebeu, then the big task - keeping the Wednesday's clash with real Madrid at camp Nou in the background. That makes the task in Guardiola's hand quite tricky, add to that the away form our team in this La Liga season. But the five point deficit at the top and the simple fact that we play ahead of Real Madrid shoudl be more than enough for us to be motivated. Traditionally following a Clasico victory, we always have don well in the next matches. So the basic idea would be to cut the lead at top to two points before Real Madrid face Atletic Bilbao. As you all know this fixture was supposed to be the first match of this season and was postponed due to the player's strike. But it is better for us to play them now than in the first week as we know exactly what to expect from them. Malaga FC is owned indirectly by the Qatar Royal family(or precisely by a distant relative of the King), Sandro Rosell would be a very happy to visit them following his own closeness to the Al Thani Family. FC Barcelona Needs to Say "Enough"
Condemnation has been flying all over the media and internet for the acts of thuggery committed by Madrid players, especially their iconic defender Pepe. Pepe recently released a so called apology via Real Madrid official site. This is his official statement "I wish to say yesterday's incident with Leo Messi was unintentional, but I nevertheless want to apologise to him if he was offended because all I do is defend my team and this institution. I give my heart and soul, and the thought of hurting a colleague has never enetered my mind". It would have been better he stood by his action than releasing a statement like that. What the bloody hell he means by "if he was offended". His argument that it was unintentional does not hold any ground as world over everyone has been convinced that it was very much intentional. Pepe looked down to see where Messi's hand where and stamped on it. Even pro Madrid media houses AS and MARCA couldn't find any reason to justify that heinous act. The second line of the statement made me laugh and hit the floor. This video Pepe Kicking Getafe Player shows how much he care for fellow players. The bottom line is he has shown again and again that he always step on teh field with clear intentions of hurting his opponents - with the ball or without it. Jose Mourinho has whipped up so much frenzy against refereeing decisions that the officials are afraid to book him for his violent plays. It has become something like a routine for this team - to go to the home of their arch-rivals and win in the most difficult circumstances. Guardiola's men has launched up many style of victroies over here - this one was also a bit different from teh other one. In this edition they decided to concede a lead at half time and then turned it completely over. This edition will be remembered as the the one in which the least expected guys scored. For Barca it was the two defenders, Puyol and Abidal who scored after Christiano Ronaldo of Real Madrid put the host ahead in the first half. Ronaldo may have scored tons of goals but no one actually expected him to score against FC Barcelona, even that happened tonight. MOurinho might be tearing his head apart by now - he has tried everything to beat this Barca side but nothing seems to work. This time he went with a starnge line up - Altintop who is a midfielder was used as a right back, Carvalho who last played in Sepetember came into center of defense partnering Ramos and Coentrao formed the left back. The midfield had the thug named Pepe, Diarra and Alonso. The front trio was Higuain, Benzema and Ronaldo. Guardiola meanwhile fielded a much expected line-up of Pinto, Alves, Puyol, Pique, Abidal, Iniesta, Busquets, xavi, Fabregas, Sanchez and Messi. 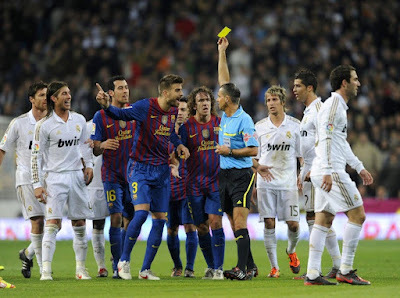 Yet another Clasico is upon us, infact the fourth of this season and the first of 2012. 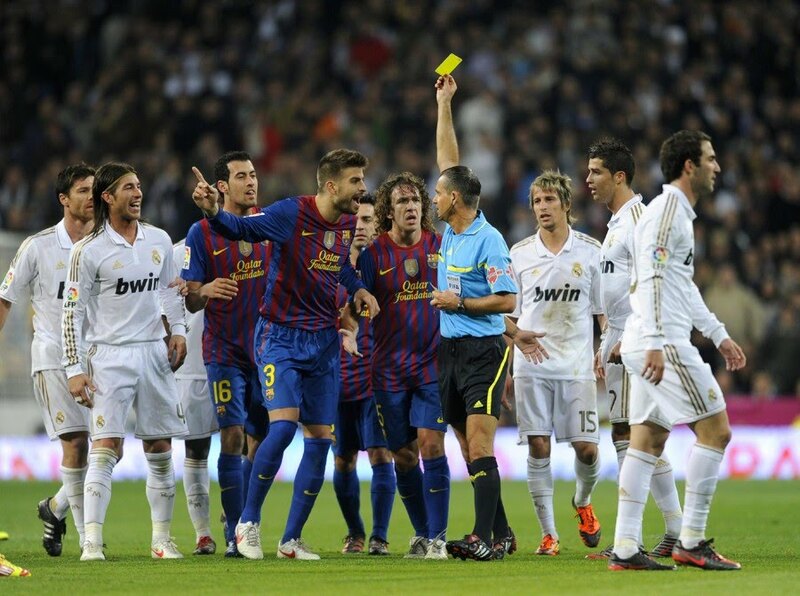 When it was confirmed that this years Copa Del Rey will see both Barca and Madrid taking on one another, the reaction of both set of fans were classic. For the fiirst time in history they all greeted with a collective sigh of "Not Again, Lord". As Madrid Captain, Iker Casillas pointed out there was a serious danger of Clasicos losing their tarditional shine with so much meetings between the two and also a bigger danger of boredom creeping into the fans. But there is something in these Clasicos that makes it worth while to have as many as can. we may have been worried about being bored about them when they were announced, but two days before the match the familar nervousness, excitement, self beliefs, self doubts all come back in full flow. Like a Barca player said recently, you can never get tired of Clasicos and on the ev of yet another that rings absolutely true. That is the beauty of a Real Madrid vs FC Barcelona clash isn't it? It is not only a clash between the two of the World's best teams, but also one between two cities, maybe some say between two nations, two footballing philosophies, clash between the world's best players. So indeed one cannot get tired of Clasicos. 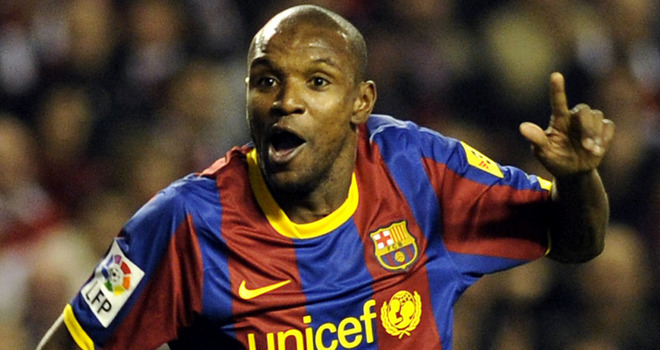 Barca fans across the globe were given a very happy news ahead of the first leg of Copa del Rey clasico - King Abidal will be extending his stay at Barca. Abidal's current contract wiould have ended in this June and a lot of Barca fans were quiet worried at the delay in tying up the Frenchman at Camp Nou. Abidal enjoys a heroic status followed by his performances of last two season and also by the will and spirit he shown when he was diagnosed with tumor last season. For Guardiola, Abidal has been a very essential player as his pace in defense was very vital while trying the three man defense. As I understand, Abidal will extend his contract for one year with a clause to further extend it for another two year. So guys rejoice, the "KING is here to STAY". FC Barcelona continued with their winning streak at home in La Liga with a very hard fought 4-2 victory against an inspired Real betis side. The match started very brightly for us going 2-0 up within 12 minute, then turned into a nightmare when Real Betis equalised early into second half. But the players showed enough character to come back from that set back and finish off the game. Lionel Messi who had a rather poor night by his standard scored twice, Xavi and Sanchez completed the goal tally for Barca. For Real Betis it was Castro and Santacruz who scored. FC Barcelona started the match with a eight point gap between league leaders Real Madrid, who managed to organise a spectacular 2-1 coming from behind victory(thanks to the linesman who ruled a perfectly legitimate goal from Mallorca as offside when the score was 1-0 to the host favour) against Real Mallorca. Guardiola once again decided to employ the 3-4-3 formation. We had Puyol, Abidal and Mascherano in defense. The midfield had Busquets, Xavi, Iniesta and Fabregas. Messi, Cuenca and Sanchez formed the attacking trio. 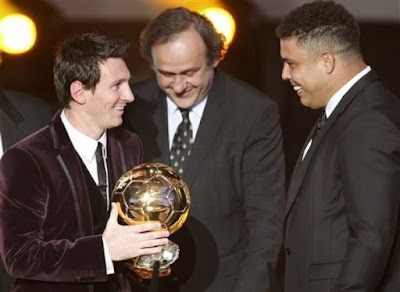 Lionel Messi won the FIFA Balon d'OR for the second consecutive time after the inception of the award last year. With this victory he has won the FIFA World Player of Year and Balon d'Or for the third consecutive time. It was a no btainer from the time the three man shortlist was announced. There was no way Messi couldn't have won it. So it was no big surprise for Barca fans, but just a confirmation of their wishes. Messi won 47.88% of the votes, whereas Ronaldo who came second won 21.6% and Xavi won 9.23%. Japan's Homare Sawa was adjudged as the winner of FIFA Balon d'Or Women Player of the Year. Pep Guardiola who missed on the awards last year was judged the Coach of the Year. Once again there was no way he could have missed that award. Santos forward Neymar won the FIFA Puskas award for the best goal scored in last year. Five Barcelona players made it into the FifPro World XI - Iker Casillas, Dani Alves, Gerard Pique, Sergio Ramos, Nemanja Vidic, Andres Iniesta, Xabi Alonso, Xavi, Lionel Messi, Ronald, and Rooney. FC Barcelona dropped two precious points in their pursuit of league leaders Real Madrid with a disappointing 1-1 draw against Espanyol. In teh 200-07 season, it was against Espanyol we lost the league title. There is still 21 games to be played yet, but maybe at the ned of the season we would be considering this match as a turning point. Barca players may think theye were hard done by the referee as he didn't award a definite penalty in the dying moments of the match. But their overall performance didn't deserve anything other than a draw.Real Madrid opened up a six point lead at the top with their victory yesternight. So it was upto us to cut the lead back by three points. Guardiola went with the best eleven available - Valdes, Abidal, Puyol, Pique, Alves, Busquets, Xavi, Iniesta, Fabregas, Messi and Sanchez. That resembled a 3-4-3 line-up. Espanyol lined up as Alvarez, Amat, Rodriguez, Moreno, Didac, Forlin, Romaric, Bifouma, Verdu, Weiss and Sergio Garcia with a 4-5-1 formation. FC Barcelona firmly placed their right foot in the next round of Copa del Rey with a 4-0 victroy against Osasuna at the Camp Nou. Now unless a seriously bad loss happens in the return leg, we will be firm favorite to face either Malaga or Real madrid in next round. A frist half brace from cesc Fabregas put Barca on course for a easy victory. Messi who came in the second half completed the tally with two neatly taken goals. Usually after a break we struggle to find our rhythm, but this time around there was no nerves like that. The performance was as clinical as it can get after the holidays. The line up for the first match of 2012 was Pinto, Mascherano, Puyola, Pique, Xavi, Busquets, Thiago, Cesc, Alves , Pedro and Cuenca. The formation was a 3-4-3. 2011 has gone past us and we all are looking forward to the new year, 2012 with hope. The past year was something like a rollercoaster ride - the financial turbulence, a slew of nature's fury at various parts of world, the fight for democracy at other parts all made it a wonderful ride. Time Magazine has rightly named this year as the "Year of Protesters". 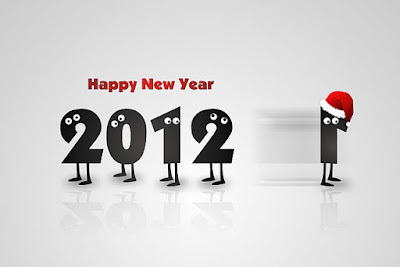 From a footballing perspective 2011 will always be remembered as the "Year of The Clasicos". Seven Clasico clashes had left football players and fans a bit drained, but this is one clash we will be all craving for more. For a Barcelona fan the past year was nothing short of a dream calendar year. We have ended this year with five official silverware - La Liga, UEFA Champions League, Liga Super Cup, UEFA Super Cup and FIFA Club World Cup. Only year 2009 has been better in terms of Silverware, where we won the Copa del Rey also. But considering that we made it to the final of that tournament last year, this has to be considered a better year- especially taking into account the challenge posed by bitter rivals Real Madrid.